Hypebeast tank tops on? The HTC One on Verizon rumors won’t seem to die, and we’ve got another random one to toss out this afternoon, the day before Verizon takes the stage at a press event at CTIA. According to an XDA member who works for Sprint, their HTC rep stopped by this afternoon to check on things and happened to have a special device tucked away in his pocket. When asked about the 4.2.2 update for the Sprint version of the One, the rep reached for a second device, which he claims to be the Verizon version already running 4.2.2. This tipster mentioned that the device had the 4.2 notification toggles, likely similar to what we saw in the leaked 4.2.2 ROM for the HTC Butterfly. So what does this mean? 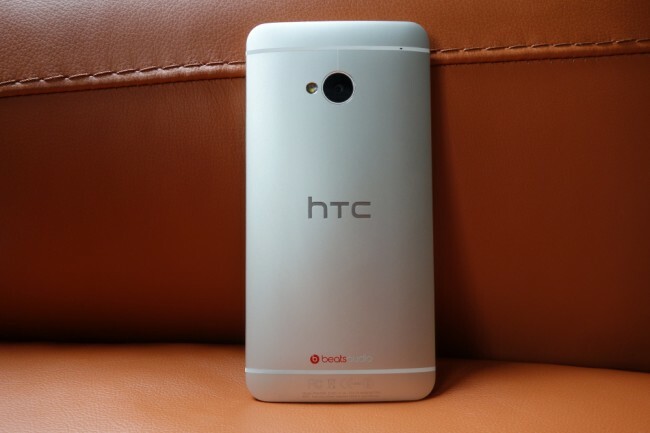 It could be a troll or it could be the first sign of something we have all been waiting for – the HTC One on Big Red. Keep in mind that Verizon really does have a press event scheduled for CTIA tomorrow that we’ll be at, but there have been no hints suggesting that HTC has anything to do with it, thus far. HTC is doing a little press get-together at CTIA this week, however, lots of companies do PR parties without announcing anything significant. Then again, didn’t HTC say only a week or so ago that when they announce a new product for Verizon, they’ll “make a big deal about it”? Why yes they did. They also can’t seem to find a way to fully put to bed rumors of the One coming to Verizon, so don’t rule anything out. We know that a device under the codename DLXPLUS with Verizon branding and similar specs to the One is alive and making its way through the certification process. We also have multiple reports out of AllThingsD which suggest the One is indeed coming to Big Red. One thing is for sure, we’ll know tomorrow at 11:00AM Pacific if Verizon’s event has anything to do with HTC.